In a move that has big implications for the developers of equipment that receives multimedia - whether tethered or portable - Akamai Technologies has launched the first platform to deliver HD video online to viewers using Adobe Flash technology, Microsoft Silverlight, and to the iPhone, at broadcast scale. The Akamai HD Network is the only solution that supports live and on-demand HD streaming with a highly-personalized and interactive online experience that matches and complements HD television. As a first-of-its-kind streaming platform, the Akamai HD Network is designed as one, comprehensive HD network reaching multiple playback environments and devices, including Flash, Silverlight, and the iPhone. Using its globally-distributed EdgePlatform of more than 50,000 servers, the Akamai HD Network enables content providers to deliver more HD content than previously possible – due to its wide-scale distribution in 70 countries and increased throughputs in more than 900 networks. This means that Silverlight and Flash will be a key element of any embedded multimedia software design. Two key trends have made it necessary to now evolve how streaming media is delivered on the Internet. First, online audiences have grown to broadcast scale. Second, those viewers are demanding higher quality content. Studies show that when higher quality video content is offered, viewer engagement time increases. Supporting this level of traffic requires a global network that can manage millions of simultaneous users streaming very high bitrate content. The Akamai HD Network was designed for large-scale broadcasters and film distributors looking to increase audience engagement and to expand revenues by complementing traditional mediums, such as TV and DVD, with the Internet. Toshiba Electronics Europe (TEE) has moved to 32nm NAND flash technology for a series of solid state drive (SSD) modules, increasing the capacity and lowering the cost for embedded systems. 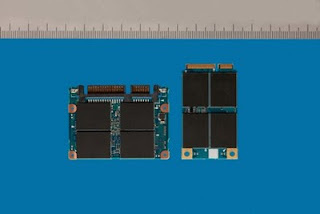 The SG2 modules come in two types, one based on the new low-profile mini-SATA (mSATA) interface standard and the other a Half-Slim type, which uses a SATA connector. The drives are available in 30GB and 62GB modules. Volume production will start in October. The two types of modules, each smaller than a business card, provide greater design flexibility and save space and cost compared to SSDs with hard disk drive form factors and cases. The 62GB module is only one seventh the volume and one eighth the weight of a 2.5-inch form factor SSD, and consumes half the power. With interface speeds up to 3Gbit/s, a maximum sequential read speed of 180MByte/s and a maximum sequential write speed of 70MByte/s,the modules will help bring the performance advantages of SSDs to notebooks, portable electronics and embedded systems. An advanced controller features a translation mode, which enables any drive configuration, and the drive supports 28-bit LBA (Logical Block Address) mode commands and 48-bit LBA mode commands. Multi-word DMA, Ultra-DMA modes and Advanced PIO commands are supported. The drives have an optional capability for secure Full Disk Encryption (FDE) backup that prevents unauthorized data access. 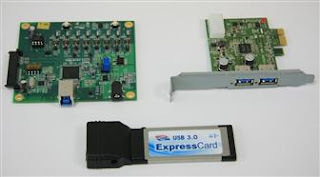 Embedded designers can either use the newer mobile mSATA interface where power is a key requirement, or existing, lower cost SATA. The mSATA modules use the popular SATA interface in a small form factor module measuring 1.18 in. x 0.19 in. x 2 in. (30mm x 4.75mm x 50.95mm) that connects to the system board using a low profile SATA connector. Adaptive Power Mode and SATA Device Initiated Power Management typically reduce power consumption to less than half of the Read power level when the device is in idle, standby or sleep mode. The Half-Slim SATA II modules feature a SATA connector, measure 1.18 in. x 0.19 in. x 2 in. (54mm x 4 mm x 39mm). The Half-Slim SATA II modules have the same SATA connector used on 2.5-inch HDD and SDD form factors. Thus, this smaller form factor can easily be used in applications designed to use 2.5-inch storage form factors. The Half Slim is also compliant to JEDEC SFF 8156. 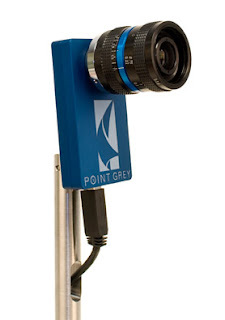 Point Grey, a Canadian developer of digital camera systems has developed the first industrial high definition video camera to use the USB3.0 standard. It teamed up with Fresco Logic, a fabless semiconductor company that designs, develops and sells USB 3.0 chips for the launch at the 2009 Intel Developer Forum (IDF) in San Francisco. The live demonstration streamed uncompressed High Definition (HD) 1080p60 video from a Point Grey camera, equipped with a high performance Sony HD image sensor, to a USB 3.0 host controller from Fresco Logic on an ASUS P7P55D platform. The prototype camera is designed and manufactured by Point Grey for the industrial market and uses the new 3 megapixel (MP) Sony IMX036 CMOS image sensor, which features high sensitivity, superior color fidelity, low power, and no smear. The sensor also supports an HD 1080p60 mode, which allows the camera to output raw, uncompressed 1920 x 1080 pixel images at 60 frames per second (FPS). Point Grey’s own software driver provides low-level control of the camera via the USB 3.0 bus. The camera is connected to a USB 3.0 interface card on the host side which is powered by the FL1000, a PCI Express to SuperSpeed USB Extensible Host Controller Interface (xHCI) host controller chip from Fresco Logic. The host PC uses an Intel i5-based P7P55D motherboard from ASUS. "One of the potential benefits of the increased bandwidth of USB 3.0 is that it allows the main processor to handle compression. This means that different types of compression can be used for different applications and that some applications, like face recognition, can work on uncompressed video data for increased performance. We certainly see USB 3.0 as a key interface technology for machine and computer vision, and one we plan to integrate into future Point Grey imaging products," said said Vlad Tucakov, Director of Sales and Marketing at Point Grey. With a low power digital signal processor, Texas Instruments has managed to develop a development kit in a USB stick which drops the cost of a full-featured emulator and integrated development platform down to $49. This enables rapid creation of DSP applications including portable audio players, voice recorders, IP phones, portable medical devices, biometric USB keys, software defined radios (SDRs), hands-free headsets and metering applications. At this extremely low price point, it is the industry’s lowest cost DSP tool, making development accessible to existing and potential customers, hobbyists, researchers and students. The TMS320VC5505 eZdsp USB stick development tool simplifies development by providing integrated features such as an on-board XDS100 emulator and on-board audio codec and connectors. Taking advantage of the energy efficient C5505 DSP, the eZdsp requires no other components or cables allowing the entire development tool to be powered by the USB port. Designers simply plug into the USB port of any laptop or workstation for hassle-free development and a simple out-of-the-box experience. It is based on the C5505 processor, the industry’s lowest power 16-bit DSP with active power consuming less than 0.15 mW/MHz and standby power less than 0.15 mW. An on-board audio codec and connectors allow developers to evaluate many features of the C5505 processor and quickly optimize complex DSP algorithms in terms of performance and power consumption across a variety of design scenarios, and an extension connector allows developers to design and directly connect to daughter cards suitable for their application. The C5505 eZdsp USB stick development tool is available now $49, which includes a full XDS100 emulator and a target version of the CCStudio v.4 software. Special incentives are available for educators, university students and developers actively participating in TI’s online community. Taiwanese manufacturer Good Way is using the NEC USB3.0 chipset for a range of cards to support the high speed interface with the launch of Windows 7 next month. Known for USB peripherals in Taiwan, Good Way will exhibit at the Hong Kong Electronics Autumn Edition in October, showing several USB3.0 products which will be launched by end of September. The first USB3.0 products offered by Good Way will allow users to keep their existing hardware while upgrading to USB3.0, solving the Host compatibility issues for both Desktop and Notebook computers. With a USB3.0 PCIe card, a desktop PC may be upgraded with two USB3.0 ports, while a USB3.0 Express card offers the same upgrade for notebook PCs. Both of these cards are compliant to the high speed USB3.0 specifications, with the maximum data transfer rate up to 5Gbps, and with downward compatibility to USB 1.1 and USB 2.0. With an uncompressed delivery of 1080p/60 full HD video and multi-channel audio in the HDMI format, a new wireless system from Gefen uses WirelessHD radio technology from SiBeam to allow installers to mount a flat panel HDTV anywhere and transmit the HDMI signal from a Blu-ray player, set-top box or gaming device up to 30 feet (10m) in distance. A line-of-sight recommendation makes it best suited for in-room installations, particularly home entertainment systems. Its low latency means it will operate with demanding applications like gaming. It supports most HDMI features and up to eight channels of 24 bit, 192KHz LPCM audio. Full HDCP compliance and CEC protocols are also supported. The GefenTV Wireless for HDMI 60GHz Extender comes with small sender and receiver units, each powered, that are connected to the high definition video source and the extended display. Both sender and receiver are equipped with an internal 36 antennae chip with the capability to bounce off walls and objects, creating a dependable in-room solution. The GefenTV Wireless for HDMI 60GHz Extender offers a plug and play installation and its user friendly enclosures can be mounted on a wall. Even the most technically challenged individual can operate it with ease. An RS-232 port allows for future updates, and the IR remote is a green feature, placing the product in standby mode for low power consumption when not in use. Gefen supplies a wide selection of signal switchers, splitters, extenders, scalers, converters, KVM solutions and home theater accessories that enable audio/video and computer systems to be easily integrated, extended, distributed and optimized to maximize performance, including HDMI extenders using 5GHz and UWB wireless. The company’s recent foray into wireless high definition video extension, integration of alternative content for digital cinemas, and high-end audio processing adds to its reputation as an innovative resource for installers and system integrators. In 2008, Gefen launched its GefenTV line for professional quality home theatre accessories with plug and play operation. To future proof USB designs, Taiwanese electromechanical component designer Suyin has developed a compact USB3.0 jack to support the high speeds of the new protocol and be backwards compatible with the existing USB2.0 plugs. The compact USB-3.0/type-A dual-port 020051MR018S500ZR jack (with two layers of 9 contacts) fully complies with all physical and technical requirements for USB 3.0. The standard version features gold plating in the contact area and dpecial features include the low contact resistance of 20 mΩ (typical), the high insulation resistance of 1000 MΩ (initial) and the excellent durability of 5,000 mating cycles. 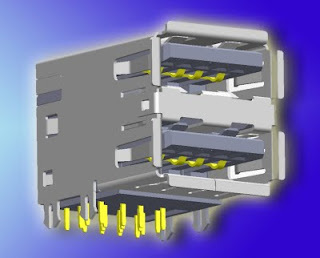 The stacked dual-port USB-3.0 jack is provided in a right-angled design for through-hole mounting. A single-jack version for USB 3.0 is currently in the design stage. Founded in 1981, Suyin is headquartered in Taipeh/Taiwan and employs over 11,000 people around the world in six production plants in Taiwan and China (Dongguang and Changshu) and in nine branch offices (China, Japan, Korea, Singapore, USA, Europe, Israel). With a turnover of US$205m in 2007, the company is among the top ten in its industry in the Asian/Pacific region.